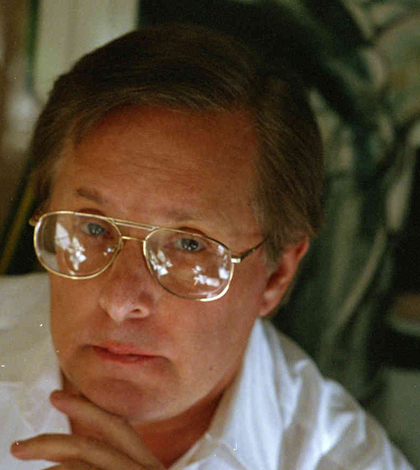 VENICE: US film-maker William Friedkin, who petrified cinema-goers with “The Exorcist”, was awarded a lifetime achievement award by organisers of the Venice film festival on Thursday. Friedkin’s groundbreaking 1973 “Exorcist” won 10 Oscar nominations, scooping two awards. He also won an Oscar for best director for “The French Connection”. His most recent film, “Killer Joe”, a black comedy, was presented at the Venice festival in 2011 and a restored version of his 1977 thriller “Sorcerer” is being shown at the 70th Venice film festival, which started on Wednesday. The festival organisers, in awarding Friedkin, 78, the Golden Lion for Lifetime Achievement, lauded the Chicago-born director, producer and screenwriter for “basically inventing the modern blockbuster”. “William Friedkin has contributed in a prominent way to the profound renewal of American cinema regarded as ‘the New Hollywood’,” the festival’s website said. Friedkin was briefly married to French actress Jeanne Moreau in the 1970s. In the 1990s he turned his attentions to staging grand opera, notably Verdi’s “Aida” in Italy and Camille Saint-Saens’ “Samson and Delilah” in Israel.